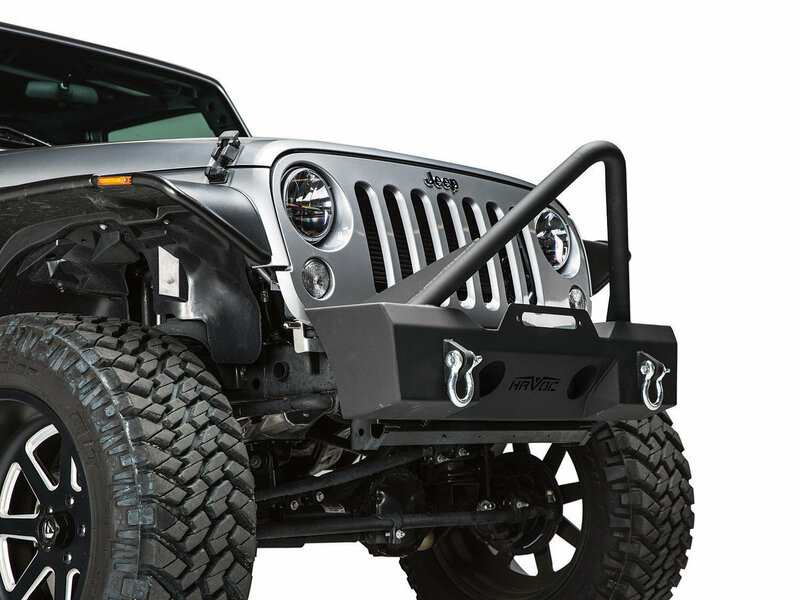 Havoc Offroad is setting a new standard for your Jeep Wrangler JK with the Metal Masher Front Stubby Bumper with Stinger. Offering a high-end quality product at a affordable price keeping your Jeep budget in check. Built from a CNC laser cut 3/16" steel and a 2 inch stinger bar made from .120 wall tubing. 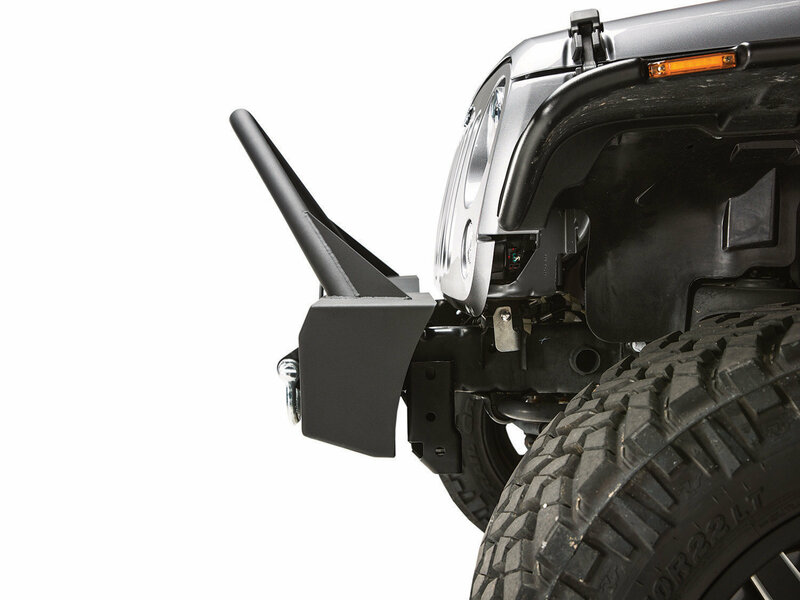 The high stinger will provide ample protection for your grille and hood. 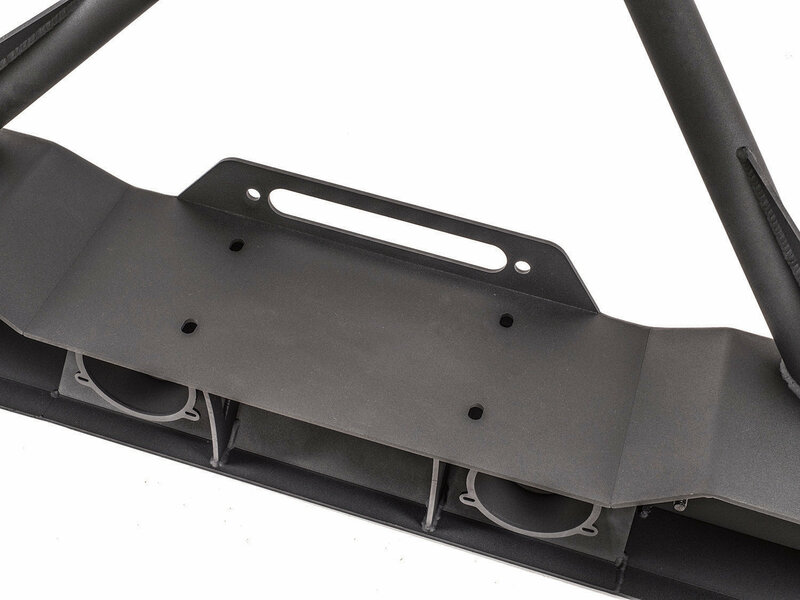 Also, the shackle tabs are welded inside and out making for a strong bumper that will provide protection for your front end. 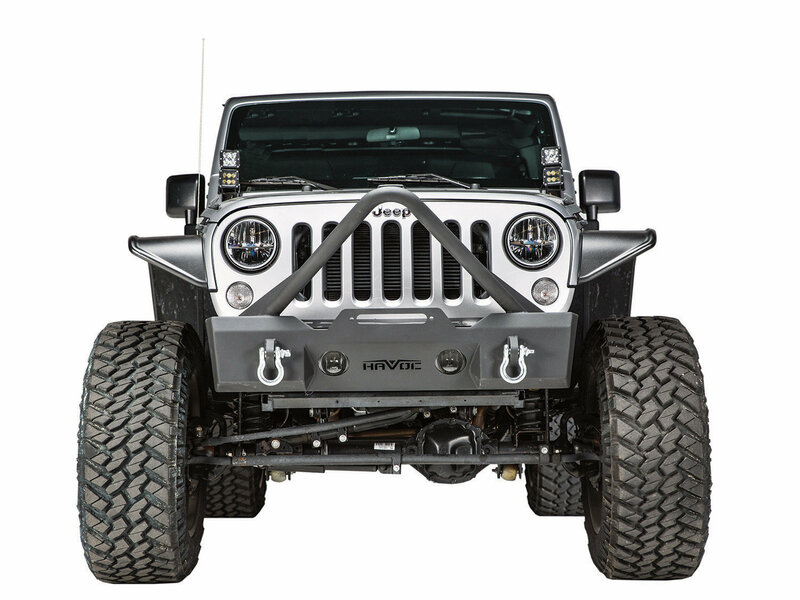 Compatible with factory fog lights that you can re-use from your old bumper while including a built in winch plate (10x4.5" bolt pattern) and includes 2 d-ring shackles. Winch is sold separate. 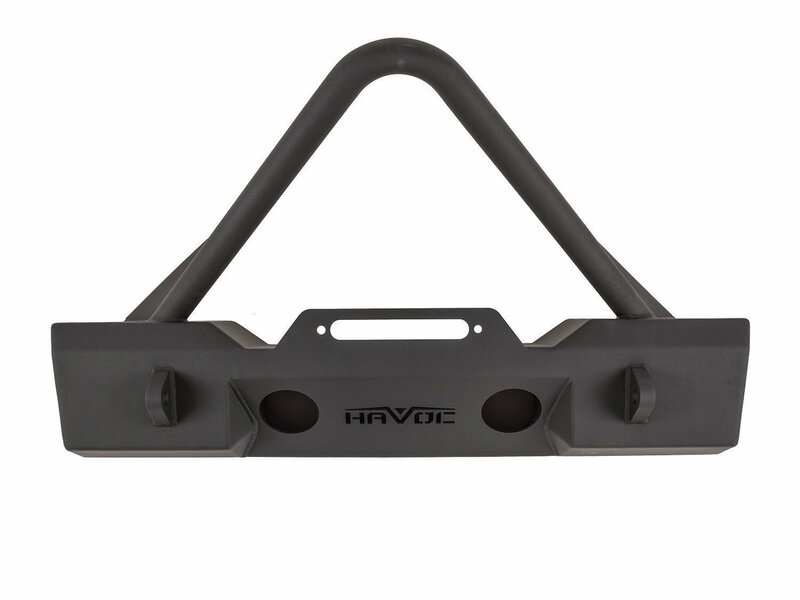 Affordable Quality: Havoc Offroad is offering a high quality bumper at a price that fits your Budget. Offering CNC laser cut 3/16" steel with high quality welds. 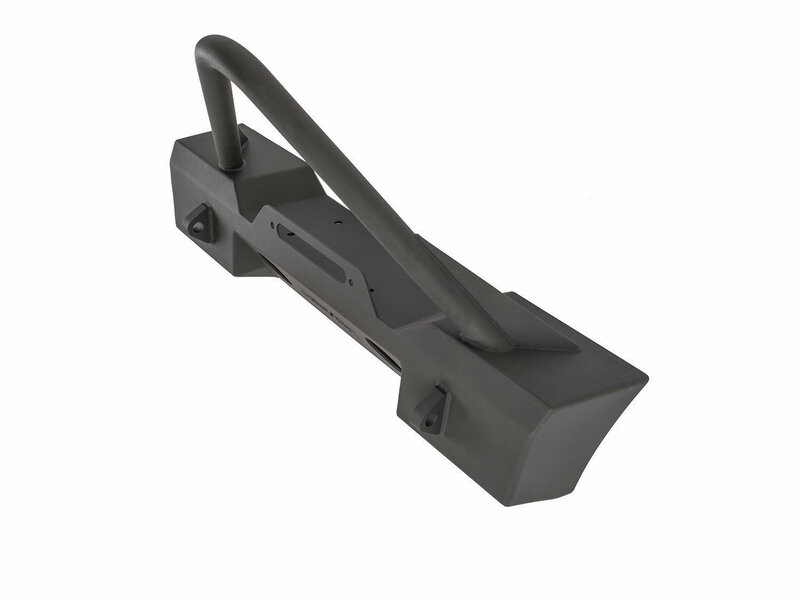 Finished with a two stage powder coat giving your bumper rust protection and durability. 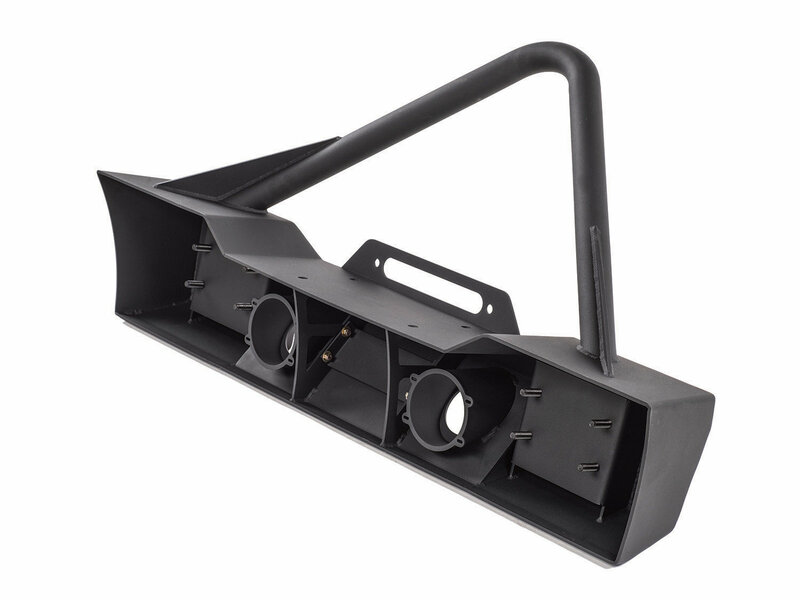 Increased Approach Angle: This heavy duty stubby bumper will allow your Jeep to navigate those tight trails with ease. The bumper stop at the edge of the grille allowing for optimal clearance. While the 2" stinger bar is made from .120 wall tubing with gussets to reinforce it. Giving your Jeep style and durable function to handle the terrain your Jeep will explore. Mash what is to come. 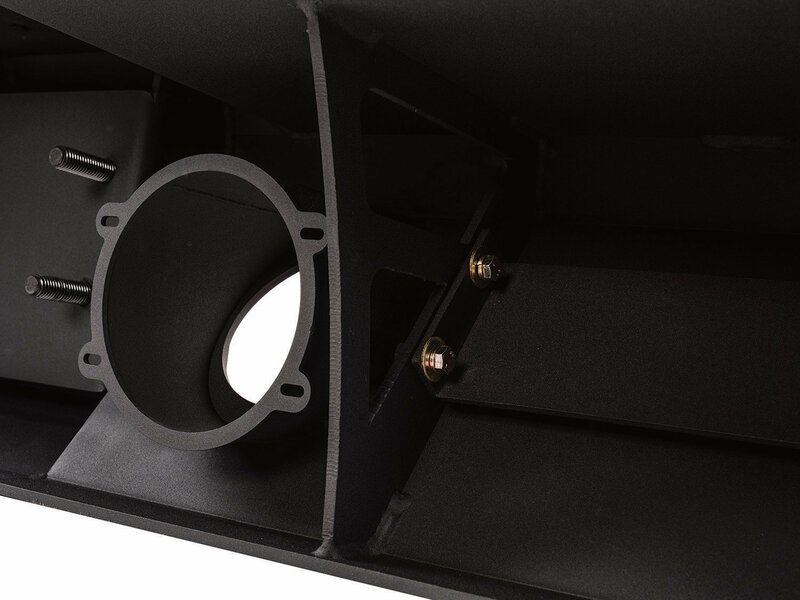 Easy Installation: Custom made for your Jeep Wrangler JK mounting to factory holes. Mounting in less than 1 hour allowing for more play time.